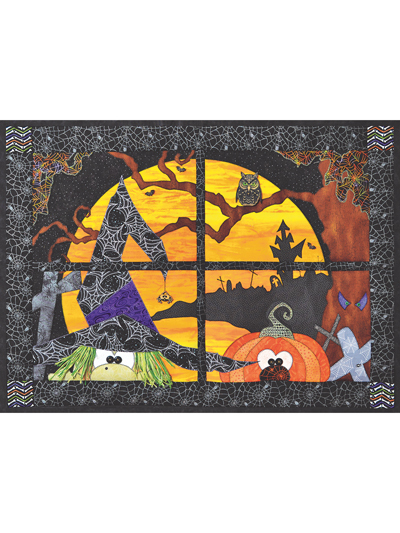 Celebrate the fun and colorful side of Halloween! 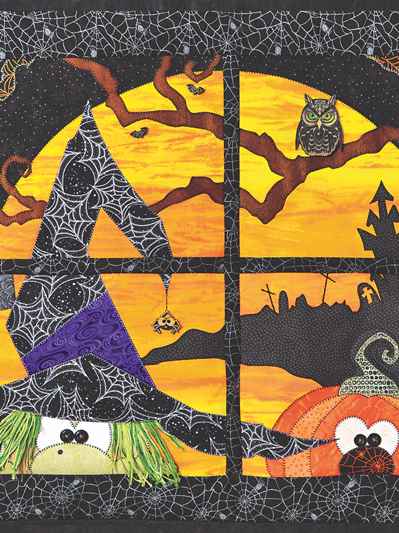 This window scene features magical moonlit goblins that will be sure to enchant children and adults of all ages! Quick & easy to make with OZsome Accents® Quick Fuse Applique® Method. Simply cut out shapes & iron in position. Embellishment pack sold separately. Finished Size: 22" x 30".